MSG – in the eye of the storm! Home Personalities MSG – in the eye of the storm! We expect a lot of in-depth public interest journalism from our media. But is it always genuine public interest? Let’s see a few recent examples of MSG films. 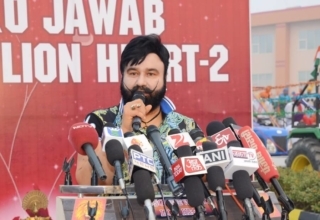 The release of MSG – The Messenger, the launch of MSG products ad, the habitually critical media reception and the general air of skepticism created around Saint Gurmeet Ram Rahim Singh Insan (aka MSG) by a section of our media. I have seen the two films and watched the media reactions with interest. And I have tried to rationally analyze the staunch opposition from this segment of everything that he does. Is there more than what meets the eye? The question merits a deep scrutiny, which the ‘commercial’ media is never going to really answer. And at the outset, I must admit that I am not arguing that the films were perfect, but I am yet to see any Bollywood product that I find perfect. 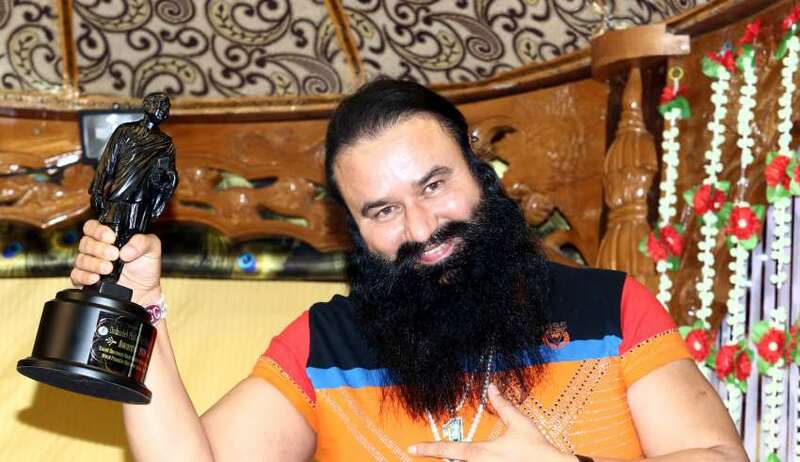 Before the release of MSG1, the film was being written off and dubbed as controversial etc. The very same media had been reporting earlier that all was not well at the censor board, and yet, when the then censor board fell to their own hurdles, the media blamed the film. Is that an objective and honest viewpoint? The film was released on a judgment by the highest tribunal. But was anything found be objectionable as the film finally ran across the country? No, there were no mass protests, no disruptions of public order, no disturbing content at all. Did anyone question, what the initial ban hysteria was about. No. An independent media is expected to look at both sides of the story. But that generally does not seem to happen. Let me find an answer why. The film talked about the involvement of powerful politicians in the drug and liquor mafia. There has been quite a lot of furore in North India with a lot of political finger pointing. And the mafia has actually made attempts on the life of MSG using RDX, guns, vehicles and a vicious campaign, (using different ideological excuses), But will the same mafia want his public message in a film to be seen and understood widely? The mafia obviously has the support of Pakistan based forces responsible for pushing drugs across the border into India. It is well documented that a lot of attacks were orchestrated and planned abroad. There are reports to this effect by serious anti-terror analysts. Should our media also be attacking a Saint for effective grassroots de-addiction work? Is it not the duty of our media to connect these simple dots and bring out the complete picture? The same web was spun for the second film but this time, it was the trailer that was used as an excuse. Defying all expectations, the film MSG2 ran for close to 7 months and grossed 507 crores upwards, without a hitch in any part of the world. A news item in the Indian Express from Chandigarh said that it had displaced a leading star’s film and another James Bond flick to accommodate its hundreds of shows in a day. Who is going to like that! And that the big powerhouses of the film industry wield max muscle with our paid media is an open secret. By the way, international publications and independent websites have done lots of stories on paid news in Indian media, so that is another open secret! So, this paid media thinks that they can make people hate something or love something else is a serious misconception. Sad but unfortunately not true in the long term! And this irks them no end and they clamour to create more disinformation that also means more free publicity without spending on advertising for MSG!! MSG has a fan base that worships him, but that’s true for any public figure, Every actor’s films are seen by his fans, and everyone watching films has their own heartthrobs. But if MSG makes a film with songs like ‘Daroo ko goli maaro’, and it gets a great reception, you should understand who is worried and why. 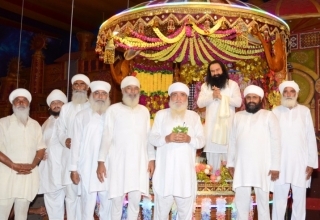 Thanks to the internet, a lot of people within and outside the media have realized the social work that has been done by MSG for bringing in change and weaning youngsters from the ill-effects of drugs, substances and social evils. The voices of these people are, however, drowned out by the paid media because they can afford to dedicate airtime to push out their biased agendas. 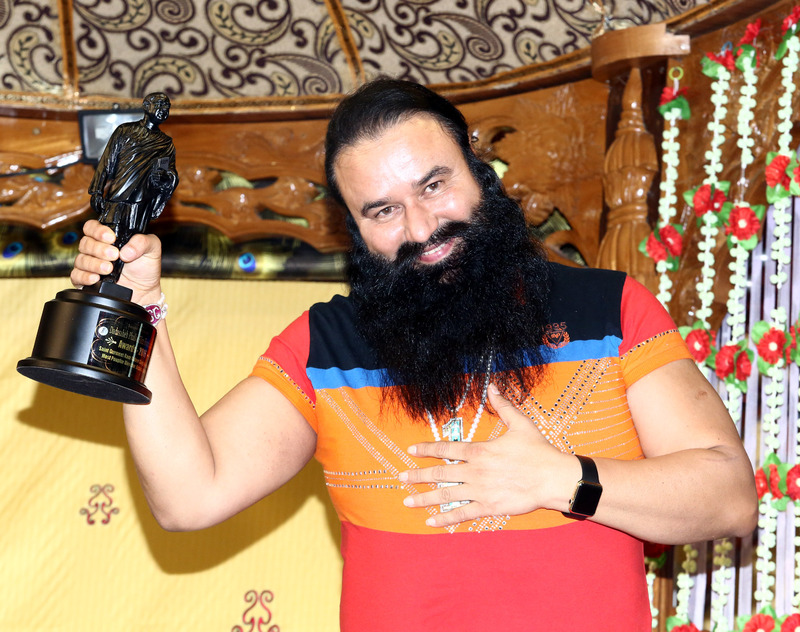 Since the release of MSG 1 and MSG 2 movies, I have met a lot of people who did their independent research and pointed out that mainstream media has never given any coverage to the work that MSG has been doing since decades. The writing is on the wall for all those who wish to understand why powerful and entrenched mafia lobbies feel threatened by a Saint who is doing selfless work for the good of society and youth. 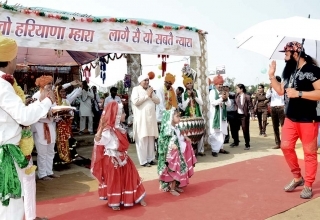 People are intelligent and the truth cannot remain hidden for long; especially when the truth is that the lives of millions have been transformed through the past of meditation and self-discipline as shown by Saint Dr. Gurmeet Ram Rahim Singh Insanji. Likewise, the MSG product release advert was decried in a pedestrian tone using the same funny arguments by a few papers and websites. But why did they miss out on the gravity of MSG’s message, that our food is laced with poison. Studies have shown that pesticide use ranges from 600 percent to 1500 percent of permissible levels in India. The Malwa region in Punjab infamously called the cancer belt, Kasargod in Kerala has created a trail of misery of children deformed at birth. So, are the most logical facts going to be mocked? When the tough get going…. One also needs to appreciate that MSG’s followers number over 55 million. So, a range of products endorsed by him is also going to give sleepless nights to the established players. That the established brands are big advert spenders with the media is just a small piece of the jigsaw puzzle of their anti – MSG stance. Thus, the spate of biased news items against Saint Gurmeet Ram Rahim Insan, can be understood. He is rising and shining and commands attention and the some are running scared at the prospect of being rendered irrelevant in the face of positive cinema. Secondly, a large part of Bollywood film funding has the same cross border connection, so the success of independent producers directly throws a spanner in their perverted works. Finally, it is clear that a section of the media is happy to help the drug mafia spread its tentacles and sap our country, happy to promote liquor and promiscuity that has clearly destroyed western society, happy to promote dark content that leaves people confused and depressed in the name of entertainment. It is their paymasters and greedy media owners who dictate that behavior. But thanks to internet, more and more people are seeing through the shades of vested interest hiding behind superficial talk of editorial independence. We can only pray for good sense to prevail. Because a media steeped in negativity destroys society, the poison on the plate is going to influence the end user. This is one danger that society needs to wake up to. Next article 10 Things Everyone Should Keep In Mind Before Working For A Startup!